We want our clothes to carry the same message and values of Beatfreeks. We want you to feel comfortable, we want you to feel empowered, and we want you to feel free. Released to celebrate our fifth birthday. Use your voice. Speak up for things that you believe in, however you feel comfortable to do so whether that's having conversations with your friends and family or taking to the street with plackards or sharing articles and stories on social media. This t-shirt celebrates people using their voice to create or start change in the world. To mark our fifth birthday we're launching "Wild Dreams & Louder Voices", the first Poetry Jam anthology, full of the incredible and talented poets that have attended Poetry Jam. 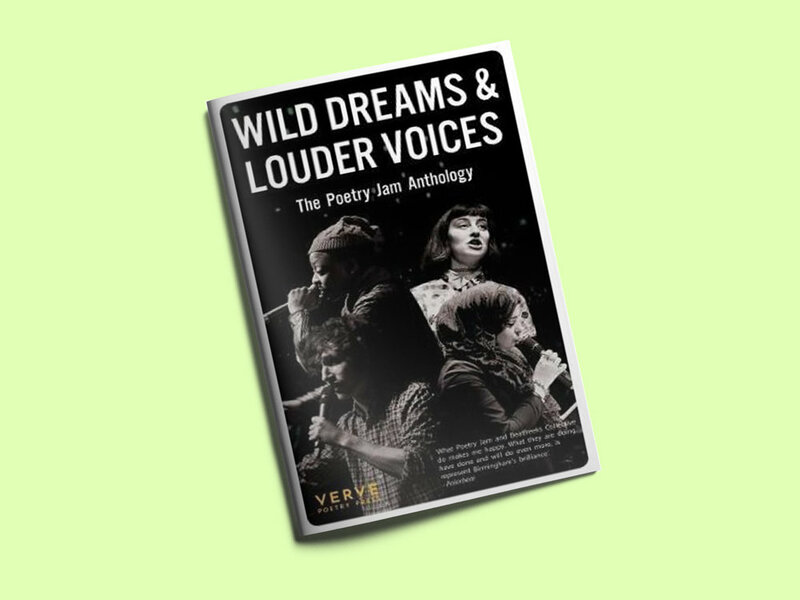 In partnership with Verve Poetry Press, Wild Dreams & Louder Voices and available to buy at Waterstones. See full line-up of poets here. Beatfreeks new Beanies are now in stock. Wear the Beatfreeks logo with pride in the two variations of Beatfreeks sweatshirts. Available in green and black. Wear your Beatfreeks wristband with pride. These wristbands celebrate the creative individual in all of us. We have three colours, White*, Green* and Black. Beatfreeks wristbands can be picked up at Poetry Jam or at our office. *Product glows in the dark. Please be aware that wristbands will only be able to be picked up from our office or from Poetry Jam. If you need any special arrangements please contact us.